Can’t see the video? 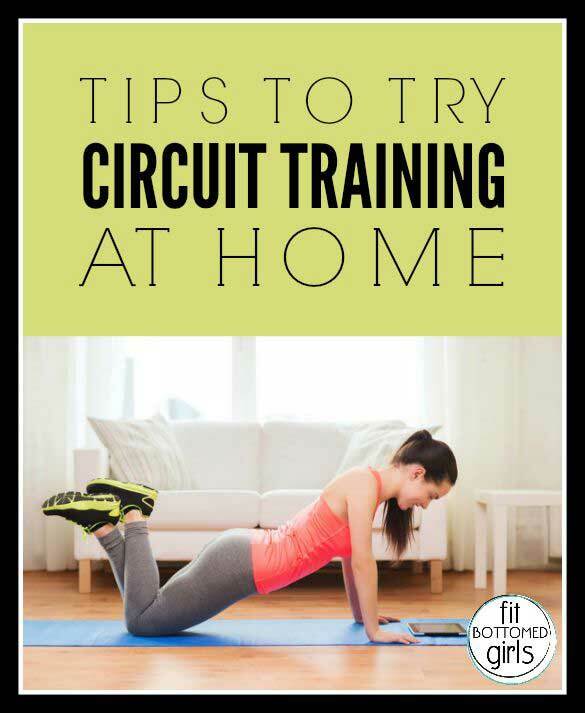 Click here to learn what circuit training is and to get the circuit training at home workout. Besides being a really efficient way to exercise, we love how easy it is to switch up circuit-training-at-home workouts. Throw in some planks, bicep curls, sit-ups, mountain climbers…whatever you’re digging. When it comes to circuit-training, the sky is the limit! I appreciate all you girls are doing, but it would have been more helpful to see the whole person that’s showing the exercise. It’s kind of pointless to only see your torso when you’re showing squats and lunges… Something to consider next time you make a video! I love circuit training its fun and it energizes me. I agree with Natalie. The squats and lunges weren’t shown very well (and neither was the push up), even though I know how to do them. Some people may not know exactly how to do the moves and not being able to see the whole body doesn’t help. I’d have gotten more out of this video if they had actually done a circuit showing the moves a few times each to give an idea of how it’s done.